Sheehan Band has experience in a wide variety of complex litigation matters, including commercial, securities, bankruptcy, white collar investigations and shareholder derivative actions. Sheehan has represented a major financial institution during a Department of Justice investigation stemming from the 2008 financial crisis; the board of directors of a major medical device manufacturer during a multinational Securities and Exchange Commission investigation concerning alleged violations of the Foreign Corrupt Practices Act; and the largest unsecured creditor in an adversarial bankruptcy proceeding with over $200 million in claims. 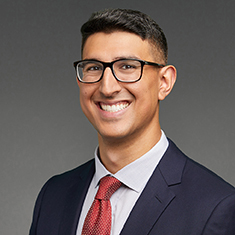 During law school, he was an associate editor for The University of Pennsylvania Journal of Business Law and 1L admissions chair of the Penn Law South Asian Law Students Association. He also received a certificate of study in Business Economics and Public Policy at the Wharton School, and represented indigent clients through Penn Law's Civil Practice Clinic. Shown below is a selection of Sheehan’s engagements.